Hey guys I am 5'9' 162 lbs by body fat is like 12percent. I want to see some more mass in my legs, arms, and chest... I want to keep what I gain... My arms are about 16 inches flexed now.. I would like to go to 18 and keep it. I have never done roids.. I'm also 23... So if anyone could recomend a cyclye that would be great for me I would love the advice. Last edited by 2BeBig79; 04-05-2002 at 01:12 PM. Start with the test/deca /dbol if this is your first cycle. Get clomid and nolvadex when you buy the gear. BTW, you've got some reading to do! How long have you been training-what is your diet and workout routine like....these are things we need to know before we can help you. Sounds more than likely that you can achieve the goals you want without juice-162 at your height isn't very big(no flame). This suggests to me that something is either wrong with your diet and training, or else you haven't been training long enough. Post some more info. and we can take it from there. Thats a great first cycle, but don't do it just becouse Methuselah told you to. 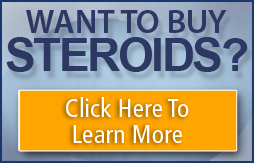 Look up the Steriods in it, and find out everything you can about them. How, why, how long do they work. Never put something into your body cuz someone here told you too. Just like Methuselah said : "you've got some reading to do!" same stats as me :P we must be hard gainers uh? Hey I work for the DEA and we'll be conducting a random search of your house in a couple months since you were nice enough to give us your name! I'm guessing/hoping thats your aka! I cant believe my name appeared on there... I dont remember typing it...Damn i am so blond..... Thanks for spotting it out... Looking forward tomeeting you MR DEA!!! Methuselah posted a great basic stack. But really, take people's advice. S[pend a few weeks or months hanging out around here and reading voraciously. You will learn a lot--and you will learn things that you didn't even know you needed to know--and how important those thngs are!